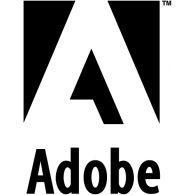 In a report released yesterday, Brent Bracelin from KeyBanc maintained a Buy rating on Adobe (NASDAQ: ADBE). The company’s shares closed yesterday at $268.52, close to its 52-week high of $270.94. According to TipRanks.com, Bracelin is a top 25 analyst with an average return of 27.3% and a 78.6% success rate. Bracelin covers the Technology sector, focusing on stocks such as Tyler Technologies, Salesforce.com, and Everbridge Inc. Currently, the analyst consensus on Adobe is a Moderate Buy with an average price target of $277.14, representing a 3.2% upside. In a report issued on September 10, Jefferies also maintained a Buy rating on the stock with a $300 price target. Adobe’s market cap is currently $131.7B and has a P/E ratio of 61.87. The company has a Price to Book ratio of 15.13.